"No rules this time." New title, new trailer, let's roll. 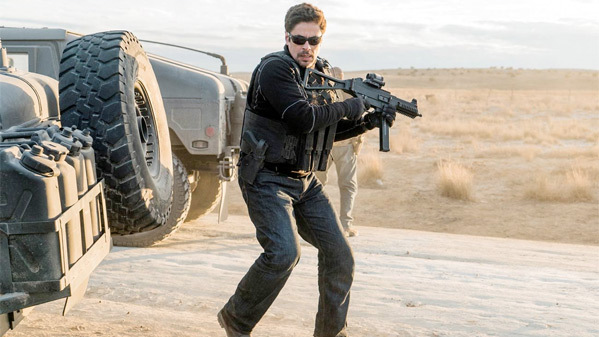 Sony Pictures has debuted the second official trailer for the dark thriller Soldado, the sequel to Sicario, Denis Villeneuve's intense thriller set along the US-Mexico border. 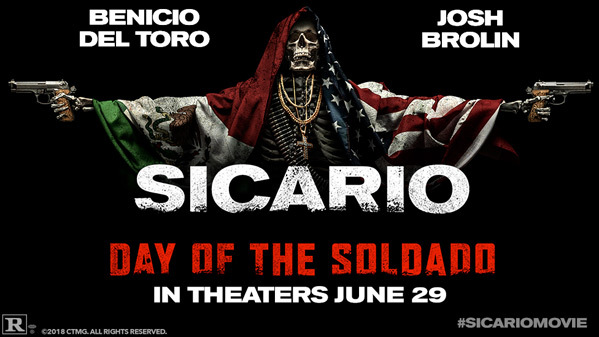 The full US title is now Sicario: Day of the Soldado, formerly Sicario 2: Soldado. Emily Blunt is not back, as her story is complete, but Josh Brolin and Benicio Del Toro are in this one. In Soldado, the drug war has escalated as the cartels have shifted to trafficking terrorists across the border. Del Toro seems to take the lead as the point man running the latest intrusion into the cartel scene in hopes of cleaning it up. The cast includes Isabela Moner, Jeffrey Donovan, Manuel Garcia-Rulfo, and Catherine Keener. This is a slick trailer, promising some very intense, brutal action scenes in the cartel world. Fire it up below. You can still watch the first teaser trailer for Sollima's Soldado here, to see even more footage from this.